Maine’s Lakes and Mountains is a region in western Maine that is part of the iconic Appalachian mountain range stretching the length of the United States’ east coast. An exhilarating mix of mountain ranges and glacial lakes, this area is highly prized for its pristine environment. No matter the season, these mountains pack in plenty of entertainment for locals and visitors alike. From mountaineering to hiking to alpine skiing, there is a perfect mountain destination for everyone. Whether it is the serenity of an isolated peak with an epic view or an adrenaline-provoking summit to the state’s tallest peak, these 25 Maine mountains are guaranteed to elevate your mood. Bigelow Mountain is situated on the shores of Flagstaff Lake in the western area of Maine. The mountain runs east to west for approximately 12 miles and is made up of six peaks; twin cones West Peak and Avery Peak are the largest alpine communities. To the west is North Horn and South Horn, which are elevated just above the glacial waters of Horns Pond. The eastern and western peaks are Cranberry Peak and Little Bigelow, which round out the mountain range. Visitors will find a wide variety of outdoor activities on this range, such as hiking, mountain biking, climbing, and skiing. Popular trials include Fire Warden’s, Appalachian, Horns Pond, and Bigelow Range. 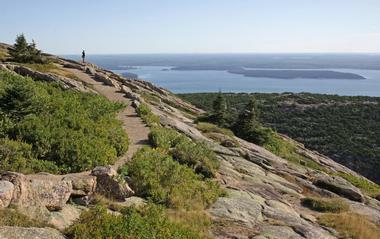 Cadillac Mountain is an island and mountain range originally established in 1604 by Samuel de Champlain. In 1931 a paved road to the top was created for easy access. 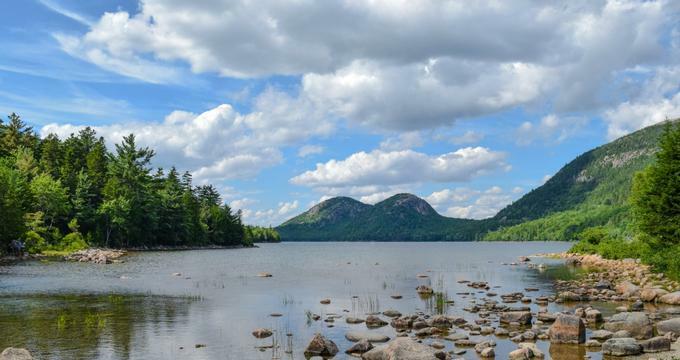 It is the highest peak on the nation’s eastern seaboard as well as the highest elevation in Acadia National Park, offering incredible views of Penobscot and Frenchman bays. It’s well-known for having the earliest sunrise time in the U.S. during the winter months, and for its excellent climbing opportunities. Great Head, in the northern territory, is the most developed area for climbers, but Otter Cliffs, Wonder Wall, and Rock Lobster also provide fun climbs for beginners. The Crocker Mountain Range in the Carrabassett Region of Maine has twin peaks at a soaring elevation of over 4,200 feet, with North Crocker edging out South Crocker in height. Appalachian Trail lovers will enjoy this range for its vigorous yet pleasant hiking trail. It’s easy to find a route as only the Appalachian Trail reaches the North Crocker summit with a starting elevation of 1,400 feet to an ending elevation of about 2,800 feet stretching just over 5 miles. Once climbers reach the top of North Crocker, they’ll need to descend for a stretch and traverse about a mile to reach the top of South Crocker. Dorr Mountain, named after George Dorr, the “Father of Acadia,” is located within Acadia National Park on Mount Desert Island. It’s the ideal mountain for hikers and climbers who want the same picturesque views as its more popular neighbor, Cadillac Mountain, but don’t want all the foot traffic. Dorr is the second highest peak within the park, featuring several trails that pass through four different zones on the mountain; these include Hemlock, Hardwood Forest, Alpine, and Birch Grove. As a bonus there are also two scramble trails that reach the summit, hidden trails like Homan’s Path, and a looping trail that takes visitors past a glacial gorge situated at the bottom of the mountain. Doubletop Mountain is located within Baxter State Park, featuring steep edges elevated just above Nesowadnehunk Stream’s west bank. Climbing and hiking up the mountain can be done all year round, though during the winter the trails tend to be snow-covered. Moderate ice climbs can be found during this time on the east side of the mountain. The main trailhead begins at Foster Field and ascends roughly 2,500 feet, covering about 3 miles before emerging onto an open slab that boasts magnificent views of Barren Mountain, The Owl, and OJI. Views of the Hunt Spur, Witherle Ravine, and lakes Jo Mary and Pemadumcook can be seen from the south summit. Goose Eye Mountain is situated in the secluded and wild Mahoosuc Range, featuring three peaks. It’s a relatively unknown summit with quite a few impressive attributes. 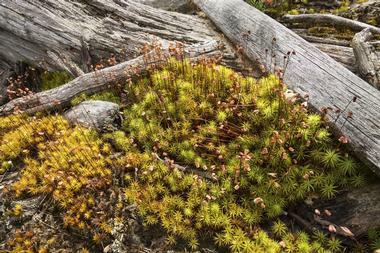 The mountain predominately consists of alpine plant communities and several windswept ridgelines. Goose Eye’s unimpeded and remarkable 360-degree views are its best feature. Visitors will find that views of the Presidential Range monopolize the southwestern horizon, and New Hampshire’s North Country dominates the west. Old Speck, Maine’s third tallest peak, and the Longfellow Mountains are to the northeast. Of the three peaks, the tallest is the west, with the east and north peaks just over 100 feet lower. 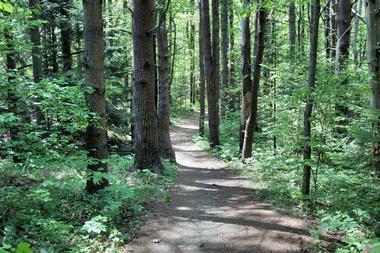 The most popular hiking trails are Wright and Goose Eye. Hamlin peak is actually a lateral ridge of the primary Katahdin mountain range, but it rises up a few hundred feet from the butte, allowing it to stand on its own. The sensational north and south sides of Hamlin are created by the gigantic Saddle and North Basins. Visitors can reach the summit from Hamlin Ridge or the Saddle Trail. Both trails are bare during the last mile to the top, providing exceptional views of both basins as well as views of Tabor Wall and the South Basin Headwall. There are various climbing routes that lead to the top of the mountain rising from the North Basin. Katahdin Mountain, towering above lakes and forests, is the tallest mountain in Maine. It’s located at the end of the Appalachian Trail within Baxter State Park. The mountain is horseshoe shaped and looks remarkable from the south with its translucent-like granite appearance. There are five primary peaks – Baxter Summit, Howe Peak, Hamlin Peak, Pamola Peak, and South Peak. The most popular aspect of Katahdin is the Knife Edge, an intimidating and thrilling jagged crest that is only a few feet wide, but a prestigious and legendary place to traverse from South Peak to Pamola Peak. There are also numerous hiking paths that all lead to the summit, but almost all involve a level of scrambling. Little Jackson Mountain is situated in the western area of Maine and shapes the northern face of the Tumbledown Pond Basin. In the upper areas of the mountain, the environment consists of dwarf spruces, bare rocks, and shrubs affording visitors magnificent views of the surrounding area. Depending on which way hikers are facing, they’ll see Tumbledown, Saddleback, Horn, Abraham, and Sugarloaf mountains as well as Big Jackson Mountain, Mount Blue, Webb Lake, and Tumbledown Pond. There are quite a few hiking and climbing trails that reach the summit; the most popular are the Little Jackson Trail and the Parker Ridge Trail. Mansell Mountain is located on Mount Desert Island in Acadia National Park. By normal standards it’s not an especially high peak, but it is one of the taller mountains within the park at 949 feet. The mountain is granite with a pink to gray/green color and features a weathered dome shape. Its height ensures there won’t be any altitude problems while also offering stunning views of the Atlantic Ocean, Southwest Harbor, and its neighboring islands. There are numerous trails that can be mixed and matched for hikes that last no longer than a few hours; these include the Great Pond Trail, Western Trail, and Perpendicular Trail. Mount Abraham is situated in the western area of Maine just northwest of the town of Kingsfield. The mountain can be easily identified due to its unusually bare peak, which stretches for almost 4.5 miles. There are various routes and trails that can be taken to the top of the mountain, but the most popular is the Fire Warden’s Trail, which is over 5 miles long and passes by the abandoned fire warden’s cabin, an old slide, a boulder field, and the abandoned Maine Forest Service Tower. Once hikers reach the summit they can descend via the Mount Abraham Side Trail, which connects to the Appalachian Trail after about a mile and a half. Mount Kineo is located across from the small village of Rockwell. It’s situated along the eastern shore of Moosehead Lake, one of the biggest lakes in the nation at over 35 miles in length. The hike to the top of the summit is relatively easy, making it ideal for everyone from grandparents to grandchildren. There are two trails to the top that are clearly marked. The lengthier hike is the Bridle Trail, while the faster, but slightly steeper, hike is the Indian Head Trail. Upon reaching the top of the mountain, visitors can enjoy exceptional 360-degree views via the old fire tower, which was transformed into an observation platform almost 20 years ago. 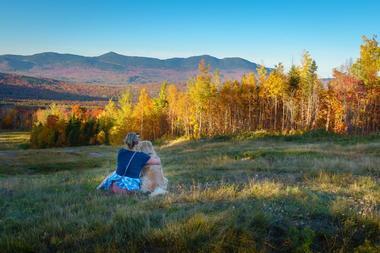 Saddleback Mountain is over 4,000 feet tall and considered the crown jewel of the Rangeley Region. The region contains several other popular peaks, such as nearby Horn Mountain, which is also over 4,000 feet high. Located along the Appalachian Trail, the frequently climbed Saddleback Mountain provides incredible views of the surrounding mountains and gorgeous lakes. On the northwest face of the mountain is the Saddleback Mountain ski area, which offers a 5.1-mile hike rising roughly 2,800 feet in elevation. Visitors can also take mini side trips off the trails to visit the mountain’s various caves, Piazza Rock, and other intriguing rock formations. Sugarloaf Mountain is the third tallest peak in Maine at just over 4,200 feet. The mountain is best known as a ski resort destination and provides trekkers with some of the most magnificent views outside of Baxter State Park. Visitors can ascend the mountain using various trails, however the majority start their climb at Caribous Valley Road, a rugged and seasonal access point at the Appalachian Trail crossing. The trail starts at a moderate difficulty before becoming quite steep. After a quick rock scramble, the trail turns into a winding path offering incredible views to the south. Once at the summit, hikers can enjoy exceptional views of the entire Carrabassett Region. Traveler Mountain is the tallest mountain north of Katahdin in the state of Maine. It is all that remains of volcanic activity that took place hundreds of millions ago and is located west of the Penobscot River’s east branch and east of South Branch Ponds. The mountain is reminiscent of a giant starfish, with ridges and trails that run west, north, and south. Traveler Mountain Trail is just over a mile in length. It features a mixed terrain that includes a section referred to as Little Knife Edge, which is smaller than, but similar to, the legendary Knife Edge, which can be found on Mount Katahdin. Moxie Mountain is located southwest of Moxie Pond in the city of Caratunk. This bald mountain features a wall of cliffs on its southern face and has a slide on its northeastern side, which can be seen from the logging roads that are just south of Moxie Pond. The interesting aspect of the mountain is that there are no clear trails to the summit, which is a collection of rock outcrops. 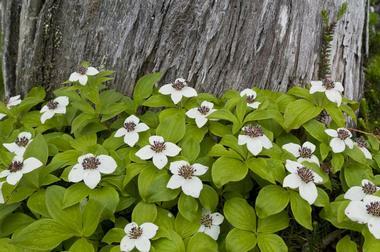 Consequently, visitors can bushwhack their own trails to the top. Previous climbers have started their climbs at Heald Pond, Deer Bog, or Big Dimmick Pond. The Nahmakanta Crags are situated above the Nahmakanta Stream, an interesting collection of ledges that are between 60 and 100 feet high. From these crags visitors can travel to the top, which is just over 1,000 feet. There are various ascents that can be chosen, but all feature an initial steep climb of 500 feet and rise above a few of the Nahmakanta Stream’s fishing pools. As hikers progress to the granite mountaintop, featuring small spruces and lichens, they will pass by lovely stands of birch trees hugging the cliff sides. Upon reaching the top they will revel in magnificent views of the surrounding mountains, forests, and lakes. Old Speck is the northernmost and highest mountain in the Mohoosuc Mountain Range, which spans the Maine-New Hampshire border and runs along the entire Appalachian Trail. They are located slightly northeast of the iconic Presidentials and are known for being beautiful and rugged with infrequent foot traffic. The mountain rises 2,500 feet above Maine State Route 26 and Grafton Notch, offering picturesque views of the various peaks of northwestern Maine as well as views of the Presidentials to the south. A charming observation tower is situated at the top of the summit. This is an ideal mountain for a day hike, or the perfect starting point for a multi-day traverse. Sentinel Mountain is situated in the southwest region of the Baxter State Park, standing at over 1,800 feet tall. It is a relatively easy climb to the summit and offers extraordinary views of Katahdin Mountain’s west side. The open ridges of the mountain also provide excellent views of the Penobscot River and every peak from Katahdin to Doubletop Mountain. Visitors should begin their climb at Kidney Pond, which is a 2.8-mile trail roundtrip with a vertical gain of 800 feet. Visitors can also choose to rent a canoe at the pond and travel across to the Sentinel Landing, which links up with the Sentinel Mountain Trail. 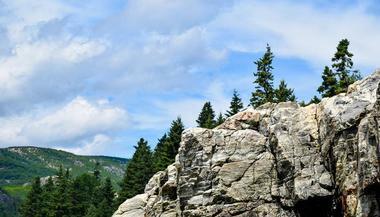 At 4,010 feet, Spaulding Mountain is one of Maine’s 14 peaks that rise over 4,000 feet. Even though its towering height is quite impressive, some hikers find its environment a little lackluster as its summit is heavily forested, cutting off what would be epic views. With that said, there are quite a few side trails that lead to some spectacular views of Spaulding Mountain’s neighbors – Crocker, Bigelow, Sugarloaf, Saddleback, Abraham, and Redington mountains. Spaulding is part of the Blue Mountains and features a well-maintained path to the top along the Appalachian Trail. The Brothers, North and South, are located within Baxter State Park. 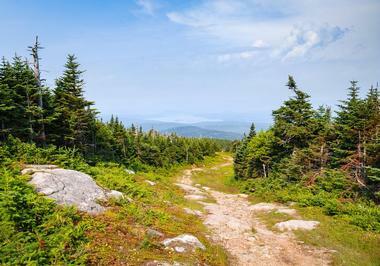 While considered two of the more modest peaks, they both made the AMC list of 4,000 footers in Maine. North Brother is slightly taller than South Brother, with a difference of roughly 200 feet. These two mountains, along with Mount Coe, create a loop hike that is ideal for beginner hikers or experienced hikers who want to warm up or cool down before or after a more demanding hike. Situated a little northwest of Katahdin, The Brothers overlook the Klondike and provide stunning views from Doubletop Mountain to The Traveler. The Bubbles are located within Acadia National Park. The two summits are right next to one another with only a slender saddle separating the pair. 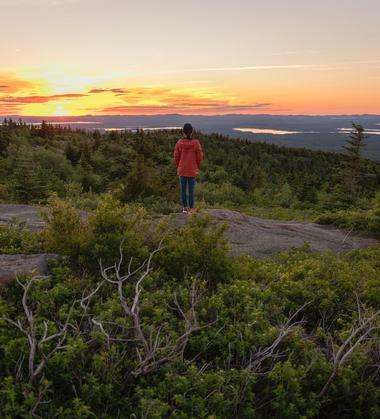 Their peaks are rocky and predominately bare, towering above Jordan Pond and providing some of the most gorgeous views within the park and spanning out to the Atlantic Ocean. Visitors will also enjoy the views of the mountains from different vantage points in the park as they have an extremely distinctive outline in the shape, which gave them their unique name. The main pathway is The Bubbles Trail; it’s an easy hike leading to both peaks and taking only about an hour to complete. The Owl Mountain is among the first section of mountains on the west side of Katahdin, overlooking Witherle Ravine, Katahdin Falls, and Katahdin Stream. When viewed from Katahdin Stream, hikers will notice how it received its namesake as it clearly resembles the Great Horned Owl from this vantage point. It is also one of the most notable sights for hikers who are ending their trek across the Appalachian Trail. 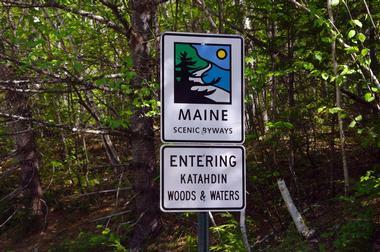 The mountain’s trailhead begins at the Katahdin Stream Campground. It then follows the north side of the stream for just over a mile before heading west passing the falls, and ending after 2.2 miles at an open summit featuring incredible views. Tumbledown Mountain is located near Weld Village in western Maine. It is not the highest mountain in the area, but it is by far the most fascinating, featuring three magnificent and open peaks, North, East, and West. The North Summit is the highest among the three at just under 3,100 feet, however the other two are only slightly lower. Two of the most intriguing aspects of the mountain are the dramatic 700-foot-high cliffs that shape its south face, forming Byron Notch’s north side, and Tumbledown Pond, located at roughly 2,800 feet. There are four distinct trails visitors can choose from – The Brook, Parker’s Ridge, Loop, and Tumbledown Ridge. Turner Mountain is located east of both Katahdin and the gorge of the Wassataquoik Stream’s south branch. The mountain has three peaks, the highest of which is North Peak, which overlooks the Wassataquoik Stream. South Peak is the second tallest and the most popular with climbers, while East Peak is the shortest, but most remote and hardest to get to. Visitors tend to choose the South Peak as it is the only one with an accessible and clear trail. The trailhead can be found at Sandy Stream Pond. This summit offers incredible views of Baxter State Park and Mount Katahdin. Hikers can traverse the 2 miles to the North Summit from here through a deep saddle.